The Government of the Australian state of Queensland has proposed amendments to laws in an effort to facilitate medicinal cannabis production within its borders. 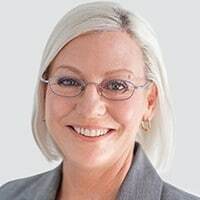 According to Agriculture Minister Leanne Donaldson, changes to the Drugs Misuse Act 1986 – included in the Farm Business Debt Mediation Bill 2016 – will enable farmers in the state to participate in Australia’s medicinal cannabis supply chain. One of the major challenges facing the yet to be established sector is the availability of seed. As laws currently stand now, industrial hemp is being produced in Queensland and valuable hemp seed lines have been developed; but growers are unable to supply seed for the medical cannabis sector. The plant is currently only grown commercially to obtain the fibre, but industrial hemp can also contain significant levels of the cannabinoid CBD; a compound with very promising therapeutic benefits. “The proposed amendments will enable Queensland industrial hemp producers to supply seed into the medicinal cannabis supply chain once the amendments pass into law early next year,” said Minister Donaldson (pictured). Currently, more than 64 hectares of industrial hemp crops are being cultivated in Queensland under 8 licenses. Minister Donaldson also stressed proposed changes would not allow patients or other non-authorised parties to grow their own cannabis for medical purposes. In 2015, the Queensland Government amended the Health (Drugs and Poisons) Regulation 1996 to allow the use of medicinal cannabis in clinical trials. In February 2016, the Commonwealth Government passed legislation to allow domestic cultivation and manufacture of medicinal cannabis products; however, state laws also need to be amended. Queensland has been making other significant progress on the medical marijuana front this year. In May, the Palaszcuk Government introduced medicinal cannabis legislation to State Parliament. While the bill enables people to seek approval to use marijuana for therapeutic purposes, medicines will still require additional approval from Australia’s Therapeutics Goods Administration (TGA). The full text of the Public Health (Medicinal Cannabis) Bill 2016 can be viewed here (PDF). On 27 July 2016, Queensland announced the state’s first medicinal cannabis clinical trial to take place at the Lady Cilento Childrens’ Hospital.